Behind the Scenes at Nationals Stadium! On August 19th, Young Artists of America had the honor of performing the National Anthem at Nationals Park before a game thanks to The Jewish Federation of Greater Washington. The Federation invited YAA to take part in their annual Grand Slam Sunday for the second year in a row and we were all too pleased to accept! We had a chance to sit down with Terry Eberhardt, YAA’s Assistant Artistic Director, who lead the group on the field, to talk about what this amazing opportunity was like. Was this your first time on a baseball field? I have done a few of these with choirs throughout the years, but this was my first time on the Nats field and it was awesome! I went back through my files to find this cool arrangement of the Anthem. It’s one I knew YAA would sing it well and enjoy! 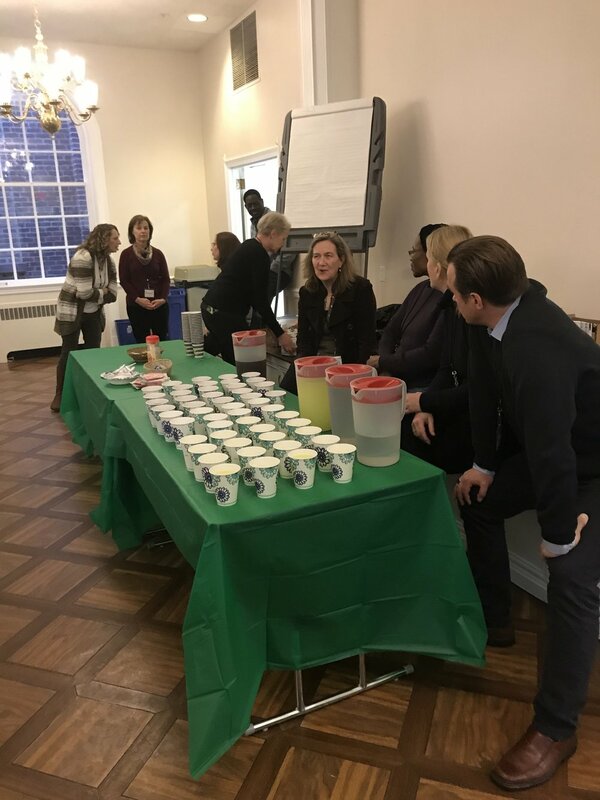 How did you help the students prepare? We sent out rehearsal tracks, and then we had one rehearsal the Friday before. What did you say to everyone in the locker room before they stepped out? I told them watch, and make sure that the delay didn't throw them off. There is about a 3 second reverb on the field. Then of course I told them to smile and sing pretty! What are some things you didn't expect about performing in a stadium? The delay was trickier than I remember. It is very exhilarating to be on such a stage. 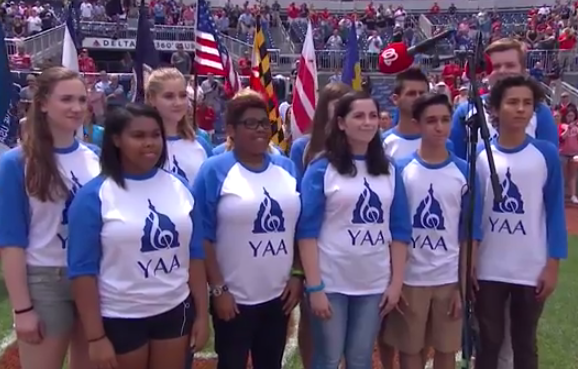 I feel very honored that we were able to represent YAA and sing our country’s anthem. I feel very honored every time I'm asked to do it. I was very proud of the students as well. They had a great time and I'm thankful to them for being professional and working so hard to sound so great! 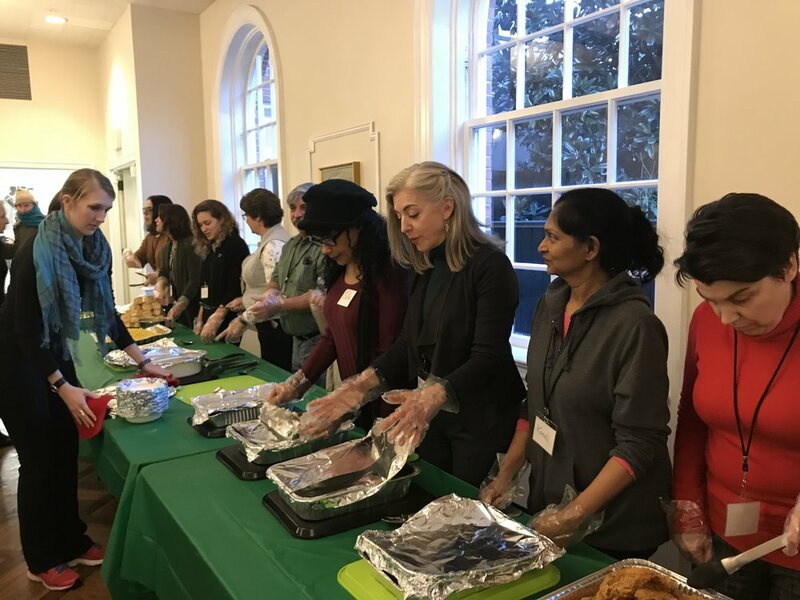 Photos courtesy of The Jewish Federation of Greater Washington. And the EMMY goes to...YAA!!!!!!!!!!! On Saturday, June 23rd, Young Artists of America’s televised performance of Young Artists of America: The Songs of Tim Rice that premiered on Maryland Public Television (MPT) in June of 2017, won a regional Emmy® Award in the category of Best Lighting. The honor was awarded at the 60th Annual Emmy® Awards presented at the Bethesda North Marriott Hotel & Conference Center and hosted by the National Capital Chesapeake Bay Chapter of the National Academy of Television Arts & Sciences (NATAS). The annual competition is open to any television station, company, production house, or independent producer in Washington, D.C., Maryland and Virginia. Rolando Sanz (Artistic Director) & Lisa Larragoite (Executive Director) at the Regional EMMY Awards on June 23rd. The one-hour performance, hosted by Sir Tim Rice and featuring the talents of over 150 YAA students, was conceived for YAA/MPT and directed by London theater director Hugh Wooldridge (Chess in Concert, An Evening with Alan Jay Lerner, The Music of Andrew Lloyd Webber). YAA's Very Own, Sam Nasar, Performs with Michael Feinstein! HUGE NEWS!! 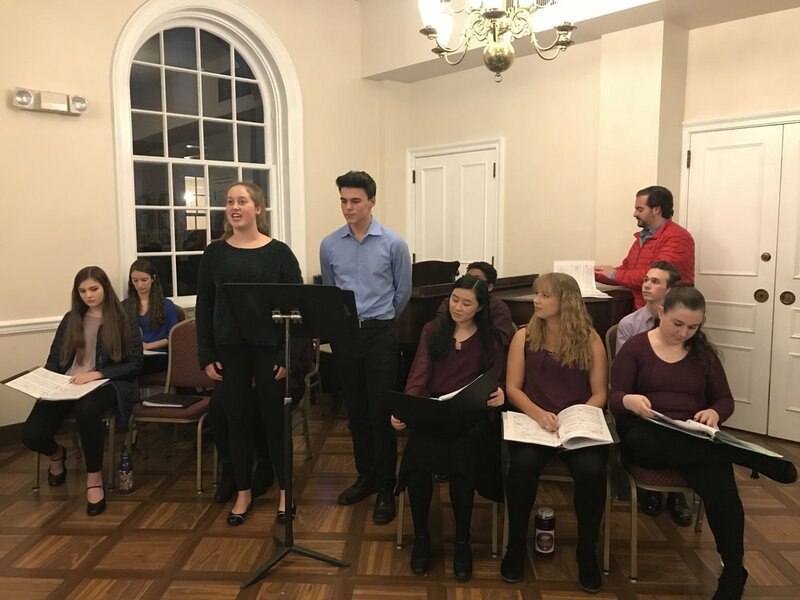 Young Artists of America's own Sam Nasar (High School Senior) was chosen by MICHAEL FEINSTEIN and LAURA OSNES to perform alongside them at Strathmore's Gala on Saturday, May 12th. Sam was selected by Feinstein himself during a Masterclass with Feinstein at Strathmore for YAA students, a few days before the concert. Watch Sam on stage now...CONGRATS, SAM! WE COULDN'T BE MORE PROUD! We're celebrating 7 years of YAA today! Share your fondest memory with us below in the comments section and we'll spotlight it on our social media this week! On May 7th, 2011, YAA presented their inaugural concert in the lobby of Strathmore. 7 years later our incredible students have performed on stages ranging from The Music Center at Strathmore to The Kennedy Center to Maryland Public Television Sound Stage, to AMP Powered by Strathmore to National's Stadium and beyond! We couldn't have done all of this without you all, our incredible supporting community and for that we say thank you! 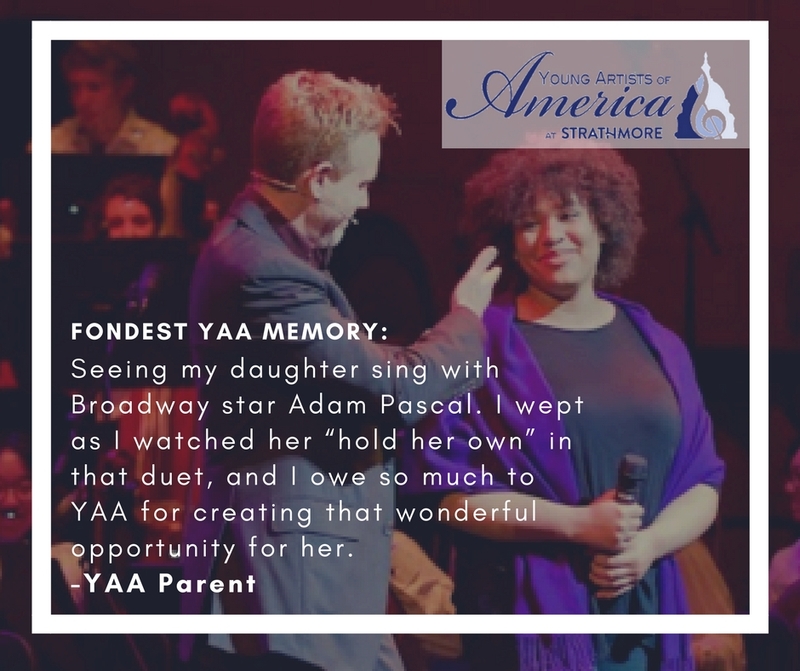 Share your fondest YAA memory hear and we'll highlight it on our social media this week. Eliot Pfanstiel accepts the award from Ike Leggett, County Executive. Young Artists of America prides itself in ARTISTRY, EXCELLENCE, and MENTORSHIP. That's the first thing you see when you land on our homepage. 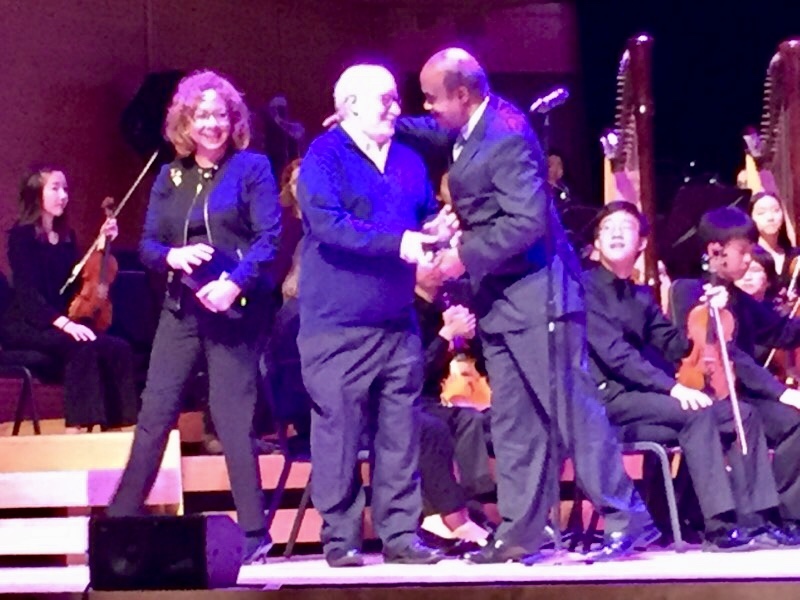 And, on Sunday, after a thrilling performance by over 275 local students of RAGTIME IN CONCERT, we honored one of our favorite mentors, Strathmore Founder and CEO, Eliot Pfanstiehl. Pfanstiehl was presented the YAA MENTORSHIP AWARD by Montgomery County Executive, Ike Leggett from the Music Center at Strathmore Stage after our performance. The YAA family is honored to dedicate our performance of RAGTIME in Concert to the memory of one of YAA's founding board members, Joel Markowitz. Joel was a pillar in the region's performing arts community. 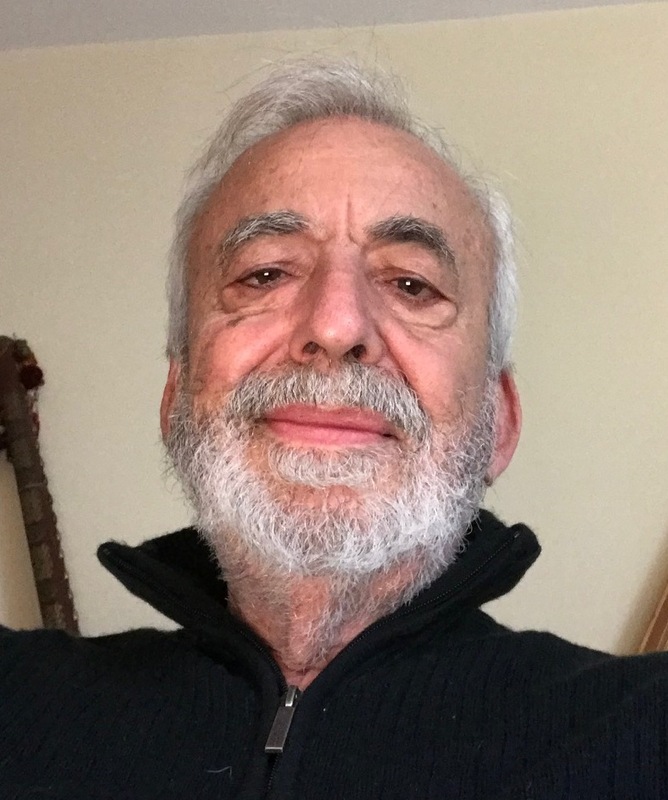 He was the Co-Founder, Publisher and Editor of DC Metro Theatre Arts, a premiere arts blog in the region covering the performing arts in DC, Philadelphia and New York. He is deeply missed by the community, and his memory lives on through the arts. When we first founded Young Artists of America, Joel was one of the first calls we made when we were forming our founding board of directors. We knew that Joel was not only a pillar of the local arts community here, but also a big supporter of arts education for young people. We were humbled when Joel agreed to join us as a founding board member of YAA. Joel was our first guest narrator in our Inaugural Concert in May 2011 at Strathmore, and he beamed as he watched our first class of students perform the repertoire he loved the most. In the years that followed, Joel was always just a phone call away to advise on our productions and offerings to our students. We are honored that Joel helped contribute to the vision of what YAA is today. In our many conversations with Joel over the years, we learned that RAGTIME was one of his favorite musicals of all time. While we are sad that Joel cannot be with us for this performance, we know that he would be proud of our students as they celebrate the 20th anniversary of this epic work he loved so much. Joel Markowitz was the Publisher and Editor of DCMetroTheaterArts. He founded the site with his brother, Bruce to help promote the vast riches of theatre and the arts in the DC Metro area that includes Maryland, Virginia, and DC theater and music venues, universities, schools, children's theaters, professional, and community theaters. Joel was always an advocate for promoting the 'stars of the future' in his popular 'Scene Stealers' articles. He wrote a column for 5 years called ‘Theatre Schmooze’ and recorded podcast interviews for DC Theatre Scene. His work can also be seen and read on BroadwayStars. Joel also wrote a monthly preview of what was about to open in DC area theaters for BroadwayWorld. He was an avid film and theater goer, and a suffering Buffalo Bills and Sabres fan. Joel was a regular guest on 'The Lunch and Judy Show' radio program starring Judy Stadt in NYC. Joel founded The Ushers Theatre Going Group in the DC area in 1990, which had a 25-year run when it took its final curtain call last year. Joel was a proud member of The American Critics Association. Learn more and get tickets here for the upcoming RAGTIME In Concert production on April 15th at 4pm at the Music Center at Strathmore. Auditions. Perhaps the least favorite part of any performer's life. But, they're a necessary evil, and if you can hone the craft, they get a lot easier. With this in mind, YAA is offering a new program during our Summer Intensives - Audition Intensive Workshop Week. 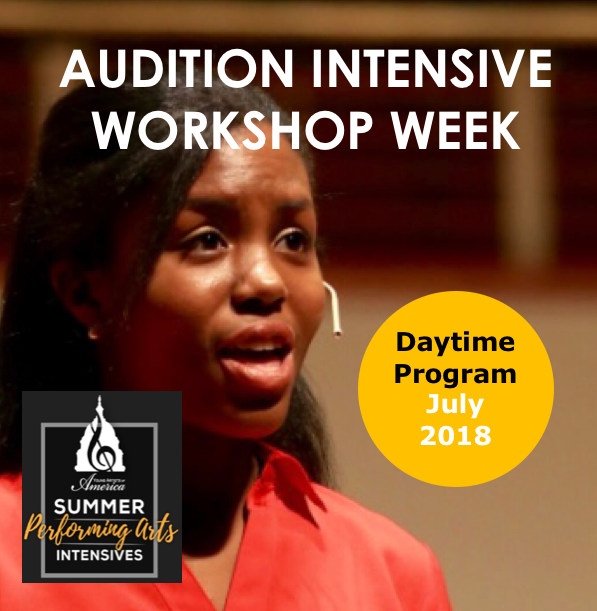 This new daytime session will run from July 9 - 13 (conveniently before any auditions taking place for The Conservatory or The Academy productions) and is for singers/actors (6th-12th grade) looking to unlock their inner potential for greater auditions. We sat down with professional Soprano, Colleen Daly, who created the program, to tell us more. Tell us a bit more about what you hope students will get out of the new Audition Week Summer Session. We’ll be honing our audition skills! Auditions are a necessary evil in life — even if you don’t decide to pursue music performance professionally, you’ll still have to “audition” — in college applications/interviews, job interviews, etc... any time you enter a new situation and are testing your abilities, you’re auditioning! So why not learn how to master the art of a successful audition? Who is the session best suited for? Who do you recommend signs up? This session is for ALL performers. If you're a beginner, this is a wonderful opportunity to start addressing your fear of public speaking and performance. 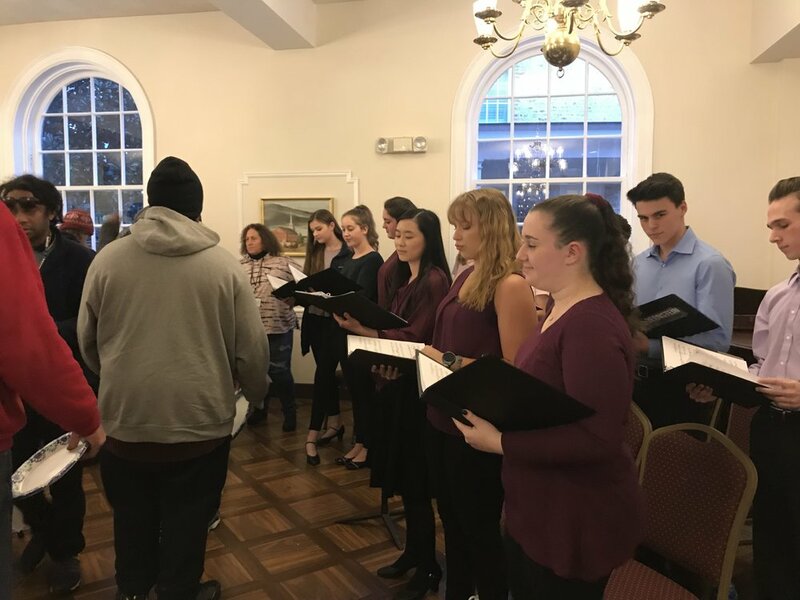 The program is also perfect for advanced students who are currently prepping college auditions, school or community theater auditions, All-State auditions, or who just generally wants to be better at auditioning. What are some things they will learn in the session if not addressed above? We will work to build confidence in every performer, no matter the level. Each participant will design their own individual audition plan of attack. 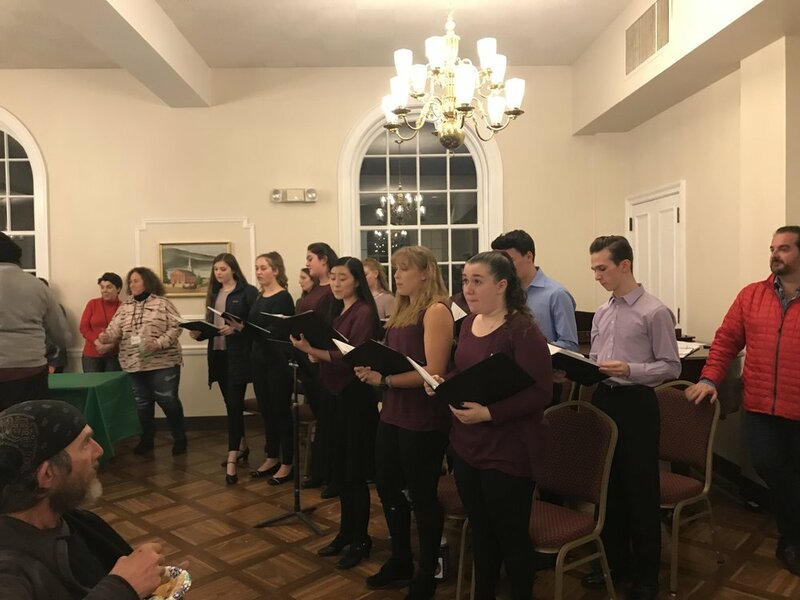 We’ll address audition materials, song package, improve vocal technique, work on communication skills and first impressions, perform mock auditions, goal setting/reaching, and clarifying the definition of success. And we will have lots of fun!! Can you tell us a bit more about yourself? What experience have you had with auditions, etc. I work in the field that I teach about — I am a professional classical singer who has done hundreds of auditions in my career, and I am still actively auditioning. I am also an educator who has coached students into major vocal performance and musical theater and theater programs across the country at the collegiate level. This camp would be a GREAT way to be ready for the first day of auditions at The Conservatory & The Academy at YAA Summer Performing Arts Intensives. What are you most excited to see/hear/do at the session? I can’t wait to see the progress that will happen in just one week! It’s amazing to watch people unlock their potential, meet their goals, and push themselves to go farther than what they thought their comfort zone was to reach new levels. It definitely inspires me in my own process for preparing for auditions. What will the students walk away with after taking this session? A spiffed-up audition package, some long-term goals, some new audition-ready repertoire, insight on how auditions work and can be useful, and confidence in spades! Learn more and reserve your spot in the week-long program here. Colleen Daly has been hailed as a “dramatically powerful” (The Washington Post) young singer. Miss Daly’s most recent performances include Musetta in La Bohème with Annapolis Opera, Lyric Opera of Baltimore and Des Moines Metro Opera; Violetta in Opera Delaware’s production of La traviata, which she also covered at New York City Opera; Fiordiligi in Così fan tutte with Intermountain Opera; Micaëla in both La Tragédie de Carmen with Syracuse Opera and in Carmenwith Baltimore Concert Opera; the Countess in Annapolis Opera’s production of Le nozze di Figaro; and the title role of Thaïs at Opera Company of Middlebury. In the winter of 2016, Ms Daly returned to one of her signature roles, Micaëla in the Maryland Symphony Orchestra’s presentation ofCarmen, and was later presented in her role debut as Fidelia in Puccini’s masterpiece Edgar with the Baltimore Concert Opera. We are so thrilled to announce that one of our very own, Mateo Ferro, will star in The Kennedy Center's production of In the Heights this spring. Mateo studied at our Summer Performing Arts Intensive in 2017, lighting up the stage as Usnavi in our own production of In the Heights. 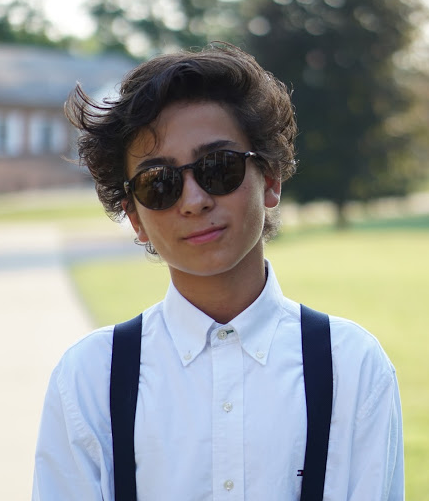 Mateo attends Clarksburg High School in Montgomery County, Maryland and is 16 years-old. Mateo sat down to chat with us right after the news spread on Playbill and BroadwayWorld, etc. Here's what he had to say. Mateo highlights from our Summer 2017 production of In the Heights, where he played Usnavi. If you'd like to follow in Mateo's footsteps, Young Artists of America's Summer Performing Arts Intensives are registering now for 2018. Learn more here. 1.) Tell us the full story of how you got cast in The Kennedy Center's production of In the Heights! Well it all started from a great guy named Rolando Sanz, you all know the name. Well, he’s just the most genuine guy and I have the most respect for him. He sent me the audition notice saying that they sent it to him and he thought of me. I couldn’t be more thankful for that and I owe that to him. After that I spent hours and hours preparing. 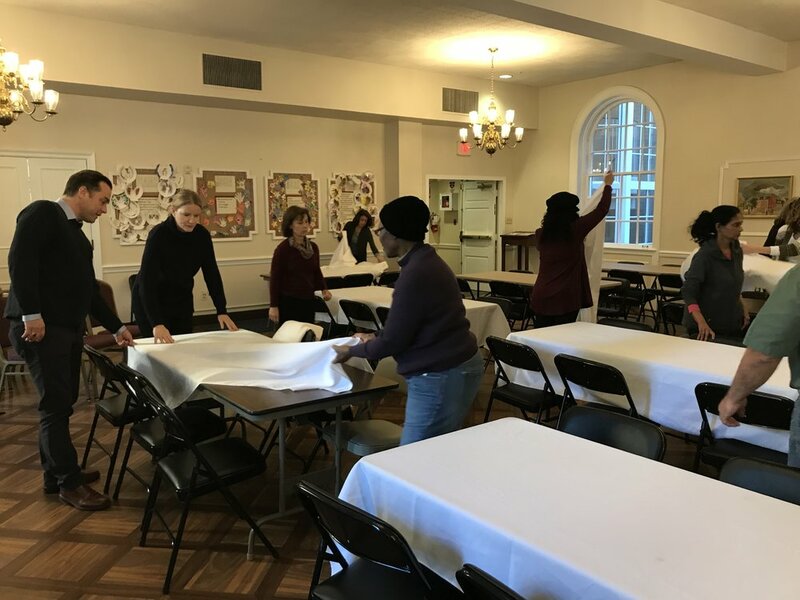 Thank you to Mandy Brown, Paul Hienemann, and Saidou Sosseh for helping me prepare! My initial audition was at The Kennedy Center and it went so well! Im so thankful for that. A couple weeks passed and I received an email from the casting director asking me to attend a call back in New York that week. So, my beautiful mother and I did the trip and to say the least I put everything and anything into that call back and got the call the next day! 2.) Tell us about what role you will play in this production of ITH. What's the character like? How will you prepare? I will be playing SONNY in In the Heights. He’s Usnavi's, the protagonist of the story, younger cousin. He's a scrappy kid who thinks a lot of himself. He jokes around a lot but stays true to himself and everyone around him. He’s just that role that everyone will fall in love with...well, that is if I do it right! I’ve memorized my lines and solos mainly because I did this role at my high school, CHStage! But yes, I had to re-learn most of it and have learned my music parts with my vocal teacher. I just really want to be prepared and have the role locked down before the start of rehearsal because, as you can see from the cast list, these are the real deal actors. Im just a small town kid from Maryland dreaming about these kind of things! 3.) What YAA productions have you been in and what was your role in each? How long have you been involved in YAA? A scholarship opportunity started off my journey with YAA. 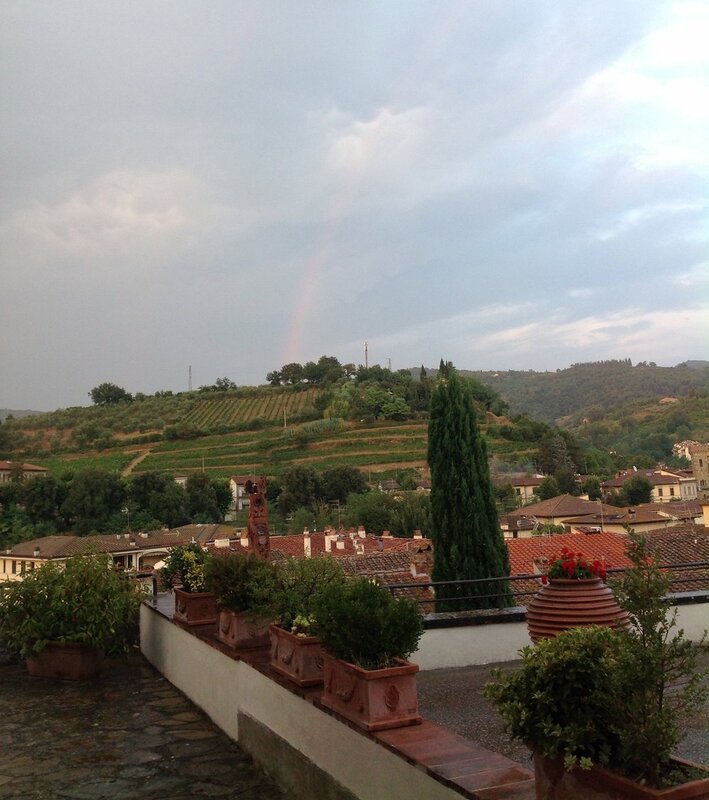 I received it last summer for YAA's Summer Intensive from The Jim & Carol Trawick Foundation. I thank both of these beautiful organizations for the opportunity because it had such huge impact on my aspirations and drive for theatre! I performed in YAA's production of In the Heights as Usnavi! By far my favorite production I have done to date. Lots of memories that I cherish from that experience! 4.) How did you learn you loved the performing arts? I've always loved singing! I just had really bad stage fright. But it all changed in the 7th grade when I did a class project show. I was in the ensemble in You’re a Good Man Charlie Brown and had such a blast. After that I decided to audition for my middle schools production of Aladdin. I got the part of Aladdin, the funny thing is that the one role I did not want was the lead because I was so nervous. But it ended up being a blast and what started this journey, and I haven’t stopped since. Huge thanks to Jerilyn Nacht, my director as a kid, she really started my drive for theatre. Also, shout out to CHStage! 5.) What are you most excited about for the ITH experience? The entire thing!! Thats all I can say. From the second I step into my first rehearsal all the way to my last bow. I'm already sad thinking about it ending and I haven’t even started. I want to learn and soak up as much as I can from it so I can grow even more. 6.) What have you learned from YAA that has prepared you for this experience (from audition to rehearsals to performance)? I learned the drive that it takes to do this professionally and seriously. Their Summer Performing Arts Intensive drained me out but they taught me to keep pushing and I did and it was so worth it. Director of the program, Terry Eberhardt, truly taught me what it meant to be a true professional. Not as in a paid actor, but as in the attitude. I thank them a lot for that. 7.) Anything interesting you'd like to tell us that we haven't asked about? Come see the show if it isn’t sold out yet!!! I want to see people I know!! But also, I really want to share with everyone that wants to do this or anything professionally in the future, that it takes a lot. It’s more than just wishing and dreaming about it. It's about the work and sacrifice you put into it. If there's one thing I think separates me from the rest, it’s that I’d do anything for it and I do. I work so hard for this. It is not handed to you. Ever. You have to work and work and I promise you will get something out of it. Be different from the rest. 8.) And finally, where do you hope all of this leads? Wow, thats actually a strong question! I hope it opens doors for me to work even harder and grow. You never have a peak so I want to prove that and keep working and growing working and growing for the rest of my life. I want to be a performer for the rest of my life and I hope this starts something for me. I really do. We do too, Mateo! You're certainly on your way and we couldn't be prouder. If you'd like to see Mateo in the upcoming productions, tickets are available at the Kennedy Center's website. An extra show has been added but tickets are going quickly, so act fast! One of Our Own to Star in Kennedy Center's "In the Heights"
Mateo Performing in Young Artists of America's Production of IN THE HEIGHTS - Summer 2017. 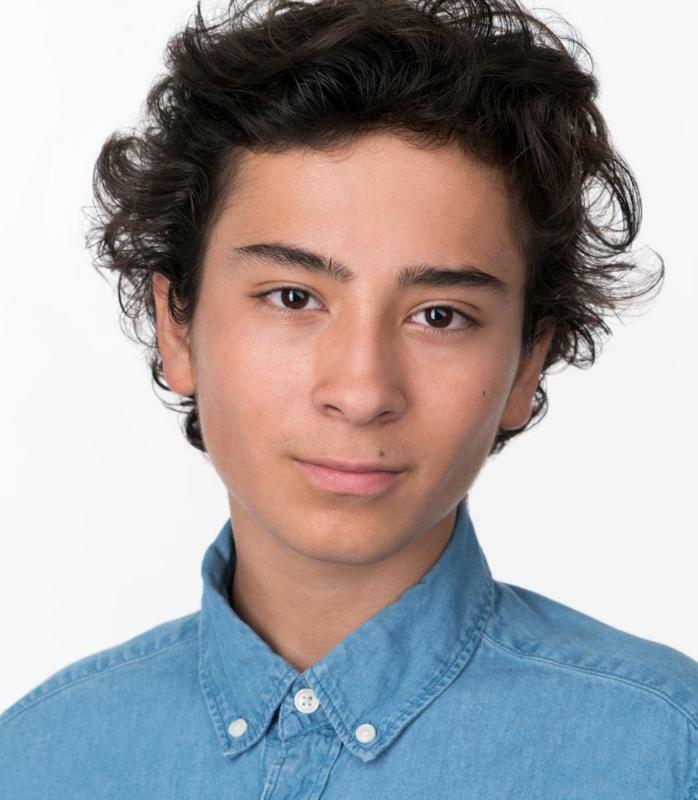 We are beyond thrilled to share the news that our very own Young Artists of America student, Mateo Ferro, was just cast in The Kennedy Center's production of IN THE HEIGHTS, Lin-Manuel Miranda's Tony Award Winning musical. Mateo will play the role of Sonny, alongside Vanessa Hudgens (Vanessa), Eden Espinosa (Daniela), and Ana Villafane (Nina). The production will run at The Kennedy Center from March 21st until March 25th. Mateo studied at Young Artists of America's Summer Performing Arts Intensives last summer where he lit up the stage in the role of Usnavi in our own production of IN THE HEIGHTS. (Check out highlights below!) 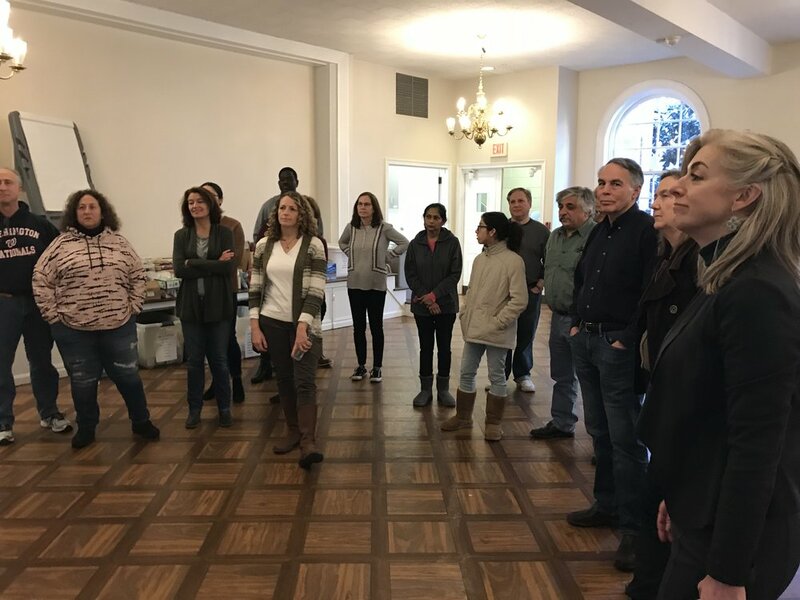 After our production, we connected Mateo to casting directors for the Kennedy Center's production. Mateo auditioned, was called back in New York, and sure enough, won the role! Let’s come out and support Mateo! Tickets have been sold out for some time, but they JUST added a performance on Sunday, March 25 at 8:00pm. You can get tickets here but don't delay. They will go very quickly! Care to follow in Mateo's footsteps? Our Summer Performing Arts Intensive is currently open for 2018 registration. Click here for more. Video highlights of Mateo's performance with YAA as Usnavi in IN THE HEIGHTS last summer with YAA! Brava, Emily Reed! Winner of Broadway World's Regional Awards! We are so proud to announce that Emily Reed, our very own Young Artists of America student, has won a Broadway World Regional Award for "Best Actor or Actress in an Educational Theatre Production" for her role in our production of YAA Presents: The Circle of Life: The Songs of Tim Rice in Concert. Well deserved, Emily! And thank you to all that voted! 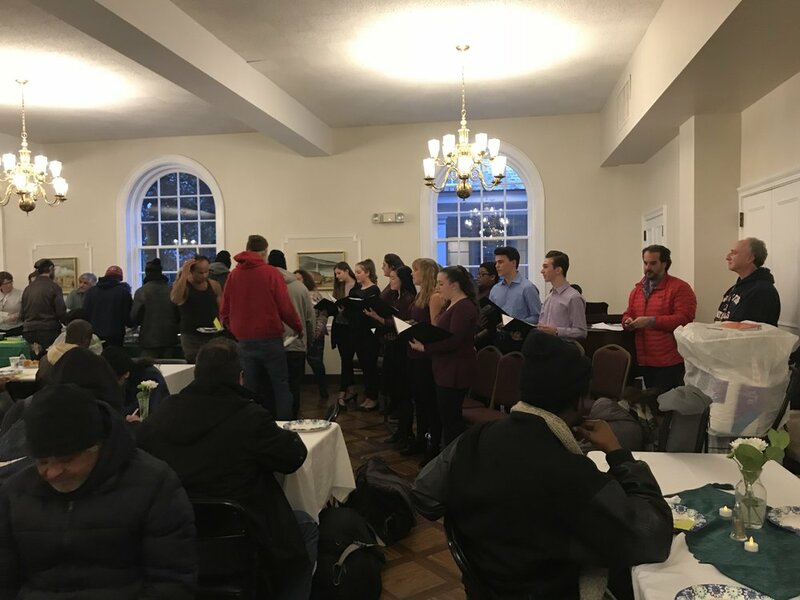 It was truly a special evening of community as YAA singers, families, board members and staff participated in an evening of service, outreach, and wonderful music making at Georgetown Presbyterian Church Homeless Dinner Sunday evening! 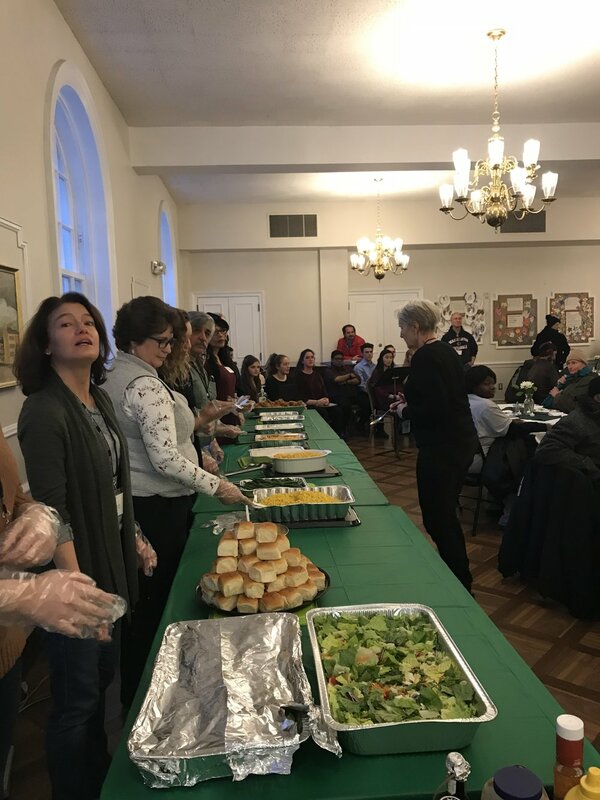 YAA performed their “Bernstein Salute” while YAA parents, board members and YAA friends served dinner to over 70 homeless men and women. It was a joyous evening of coming together, working together, and sharing our YAA talents with our less- fortunate community members. 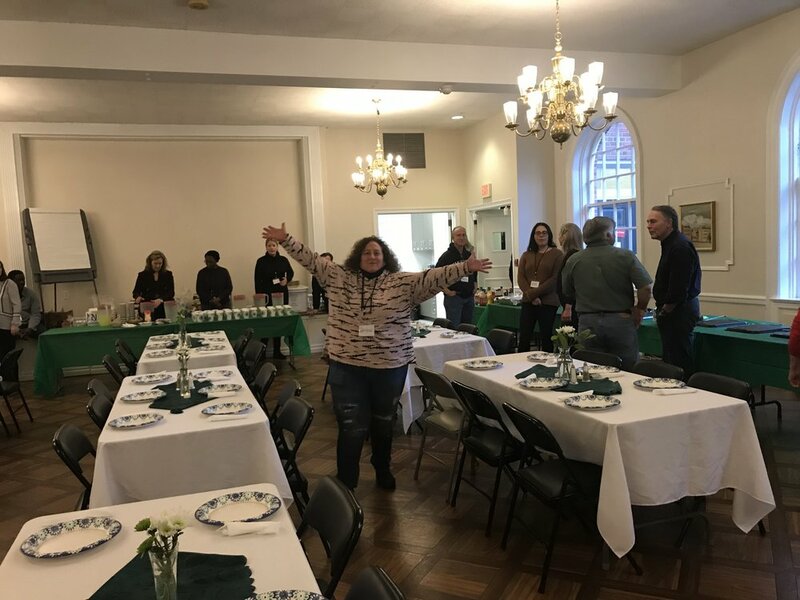 We salute Georgetown Presbyterian - especially Reverend Chris & Victoria, who welcomed us, and organized the compassionate and elegant evening! Truly unforgettable! Join us for the next Community Outreach program! Learn more about our Community Outreach programs. 1.) What has the impact of music been on you or your child? Music has always been a part of our family’s life. Emily has been singing since she was a very young child, and the joy it gives her has always been there. There were many times growing up when Emily would just break into song. She could harmonize at a ridiculously young age. 2.) What opportunities has YAA given you that you wouldn't have received otherwise? YAA has provided a level of musical theater training that we almost could not believe. The YAA performances are so polished and professional that sometimes I forget that the musicians and vocalists are still middle and high school students. Emily has learned so much technically, but being in YAA has also increased her confidence. Emily has also made great friends and gotten a wonderful sense of community at YAA. She has YAA friends that she stays in touch with even though she lives a good distance from them. 3.) What is your fondest memory of YAA? My fondest memory of YAA was watching the kids at the Showcase performance the first summer that Emily attended the summer intensive. I knew my daughter was talented, but I had no idea what she was capable of after the amazing training she got at camp. She grew a lot that summer artistically. At the showcase I saw her dancing and singing and acting all at the same time and I was blown away by my own child and what YAA had helped her to prepare in 2 weeks time! I will never forget her singing “Burn”. That’s a high point in my life. Another fond memory is seeing her sing with Broadway star Adam Pascal. I wept as I watched her “hold her own” in that duet, and I owe so much to YAA for creating that wonderful opportunity for Emily. 4.) Why do you encourage people to support YAA? YAA deserves support because they are so committed to advancing youth in the arts and backing these talented kids 110 per cent! Emily feels supported and pushed to her potential in such a good way. I don’t have enough good things to say about YAA. 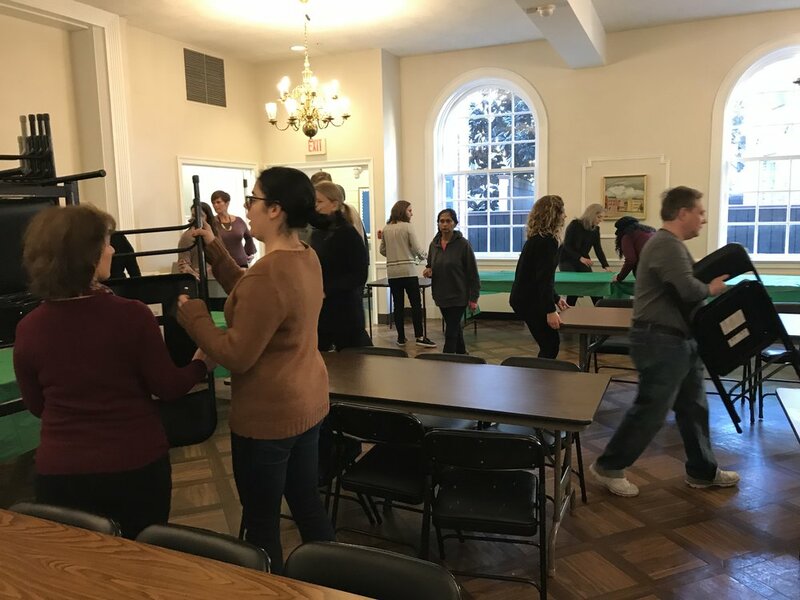 Emily feels that everyone has her back: Rolando, Terry, Kris, Lisa, and others—everyone has helped her to get better at her craft and to feel like she is part of an artistic team. Want to ensure this type of impact continues? Please consider making a contribution of any size to our Power of Music campaign before the end of the year. Donate now. Vote for Your Favorite #YAAMoment of 2017! The poll is now closed. The winner was "All of the moments of Musical Theatre Summer Intensives 2017" in first place with "The Sound of Music in Concert" in a close second! Thanks for voting. Here's to more memories in 2018! Thanks for voting on this fun YAA poll! We'll announce the winner on our Facebook page on New Year's Eve! While you're here, help us win Broadway World's Regional Awards by voting for us in the following categories at this link before December 31st! We are incredibly pleased to announce Amanda Primosch, one of our young artists and member of our Vocal Ensemble has been given one of the highest artistic honors in the country for young singers. Primosch has been named a 2018 National YoungArts Foundation Finalist in Voice! She will participate in the 37th Annual National YoungArts Week in Miami, Florida from January 7th to 14th, 2018. Amanda has been a young artist with us for four years and has performed in all 7 school-year and three summer intensive performances. She will also play Mother in YAA’s upcoming production of Ragtime in Concert (April 15, 2018 at the Music Center at Strathmore). YoungArts National Voice finalists, like Amanda, were selected from the most competitive pool of applicants to date. She is one of 21 national finalists within her discipline. Only 171 finalists were selected out of 8,000 applications from 47 states. Winners like her will be given access to one of the most comprehensive programs for emerging artists in the country, offering financial, professional and artistic development opportunities over the course of their careers. AYou can check out a complete list of the 2018 finalists online at youngarts.org/winners. Amanda will receive a cash prize of up to $10,000, opportunities to share her work with the public at renowned institutions such as the John F. Kennedy Center for the Performing Arts (Washington, D.C.), The Metropolitan Museum of Art (New York), Sotheby’s (New York) and New World Center (Miami), and access to professional, award-winning mentors including Doug Blush, Nora Chipaumire, Lisa Fischer, Corin Lee, Karen Olivo, Elizabeth Joy Roe, Patrice Rushen, and Janis Siegel among others. Watch Amanda sing (starting at 13:15) in her recent performance of "Climb Ev'ry Mountain," from YAA Presents: The Sound of Music in Concert (2017) below. Music has been a defining force in my daughter's life. She started singing when she was a toddler and, thankfully, hasn't stopped. 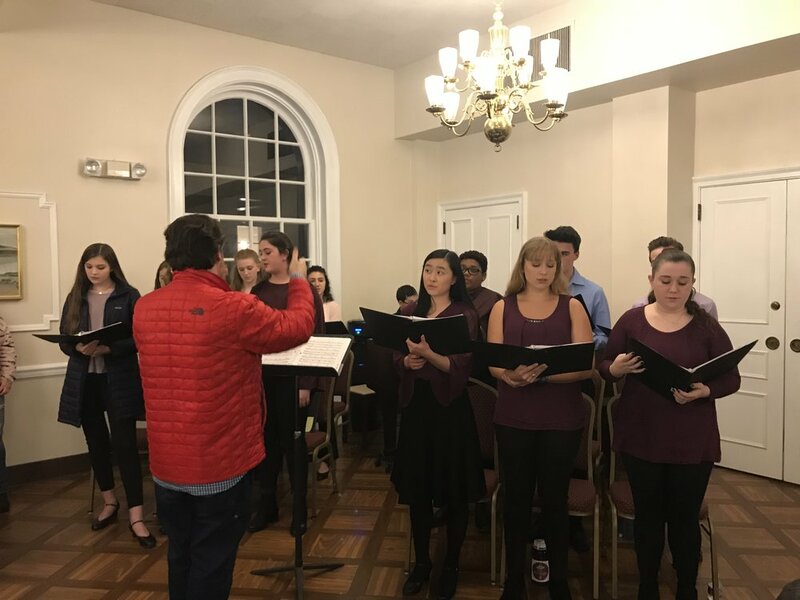 She is now studying classical voice on scholarship at the University of Maryland's school of music, and in the process of applying to graduate schools to continue her study. When she was only 14, she was cast as Christine in YAA's first staged concert performance. She sang in front of a full house of over a thousand - and loved i! It was the first note out of Hayley's mouth, on the opening night of Phantom. I cried. I was so proud of her, and so happy Rolando trusted her to play/sing this important part. I'm crying now thinking of how grateful I remain that she had that opportunity, with such talented teachers, cast and musicians. YAA is a whole other level of quality when it comes to music education and opportunity for young artists. They don't choose their leads or musicians based on how much money their parents donated. It's all about commitment, talent, and ability. Rolando and Kris set the example of professionalism, and the students rise to their expectations. Want to be a supporter of this type of work? Consider making your tax-deductible donation to YAA before the end of the year, and every dollar you give will be matched by our angel donors up to $20,000! Donate now. 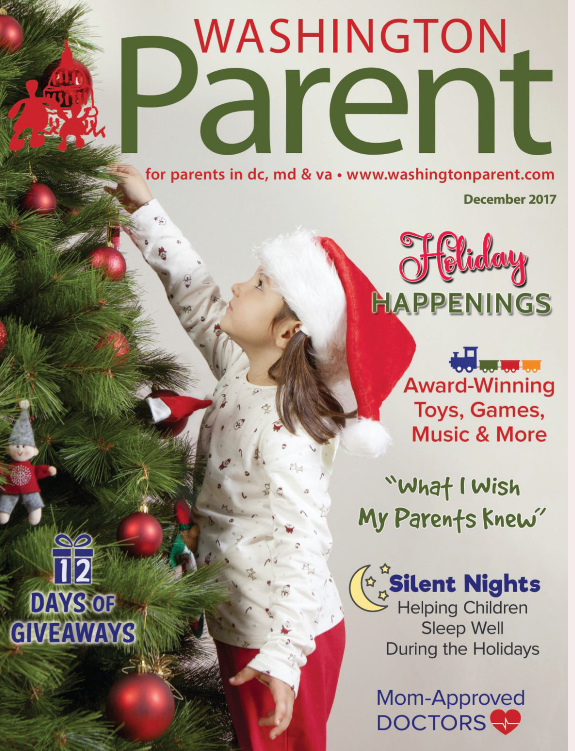 We're in Washington Parent Magazine! We're so proud to have been highlighted in Washington Parent Magazine this month. Grab a copy today! It's distributed widely throughout the DMV area. And, take a peak at our article here.